What is a Wind Mitigation inspection and should I get one? Wind Mitigation inspection must be performed by a licensed general contractor, building contractor, architect, engineer, building inspector or home inspector. The form used as of August 2014 is OIR-B1-1802 and photos must accompany the wind mitigation report for it to be valid. Wind Mitigation credits were mandated by the Florida Legislature several years ago, and they earn premium discounts for construction methods within your roof that resist damage by wind. There are several categories of credits, and within the several categories there are several levels of discounts. The age of the home and roof will be examined and inspectors will also be noting and taking photos of the roof deck attachment, roof to wall connection, roof shape and the existence of a secondary water resistance barrier. The cost of a Wind Mitigation Inspection varies by vendor, but it is generally inexpensive. Do your research on inspection companies. You want to make sure the inspection is done properly. If you need a referral we work closely with and trust a few local inspectors so just ask! You definitely don’t have to be a professional to understand a Wind Mitigation inspection, however it does get technical. Let’s take a look at what the inspector is looking for, why he or she is looking, and how the process came to be. First, it’s important to know that the Uniform Mitigation Verification Inspection Form is actually a legal affidavit. That means that it’s considered a written statement confirmed by oath or affirmation for use as evidence in court. This goes along with why all insurance companies in Florida must offer premium discounts for Wind Mitigation (although they can vary by company); the state legislature mandated the credits! Wind Mitigation Discount Tip: The newer the home the deeper the discount. What kind of roof covering you have. This is where the inspector notes if you have shingles, tiles, etc., and what building codes they are compliant with. This is important because an older home from the first item can have a much newer roof. Wind Mitigation Discount Tip: Plywood is almost universally used, but not always. The longer the nails and the closer they are together, the deeper the discount. What is the roof attached to the walls of your home with? There are 8 findings the inspection can have, but the most common in order from weakest to strongest are Toe Nails, Clips, Single Wraps, and Double Wraps. Wind Mitigation Discount Tip: If you are re-roofing your home make sure the best/strongest method is used. All you have to do is upgrade as much is possible. Always ensure proper permits are pulled and building codes are followed too. What is the geometry of your roof? Very simply put, from a home insurance perspective, hip roofs are the best, gables are OK, and flat roofs are great for wind but aren’t so great overall. A hip roof slants up on all sides like a pyramid. It can have more than 4 sides. Hip roofs can withstand the highest pressure loads from very fast blowing wind. Gable roofs can be simple upside down V-shaped roofs or roofs with multiple peaks in the shape of a letter V. Gable roofs can only withstand certain pressure loads because the blowing wind can get under and lift them, unlike hip roofs. Flat roofs are less of a wind issue, but they tend to collect debris and to be very leak prone as they age. Wind Mitigation Discount Tip: If building or purchasing a home, a hip roof is always preferable. A home with a hip roof will generally have a lower insurance premium than a perfectly equivalent home with a gable or flat roof. The first item that has absolutely nothing to do with wind but is on a Wind Mitigation Inspection is Secondary Water Resistance. Does the roof have more than just felt paper between the outer covering (shingles/tiles/etc.) and the decking (plywood)? Is there rolled waterproof membrane in between? Felt paper has a tendency to dry out and behave like potato chips. As it crumbs away water can permeate the wood decking and work its way into the house causing damage. Secondary Water Resistance helps prevent this water intrusion. Opening Protection is another less roof involving item, but it very much concerns itself with wind. This possible credits looks to see if your house has hurricane shutters, specially designed garage doors, windows, skylights or other “openings” meant to withstand wind and strikes from blowing debris. Who Executes a Wind Mitigation inspection? A Home Inspector licensed under Section 468.8314, Florida Statutes, and is properly trained and passes a test, such as interNACHI certification. A Building Code Inspector certified under Section 468.607, Florida Statutes. A General, Building or Residential Contractor licensed under Section 489.111, Florida Statutes. A Professional Engineer licensed under Section 471.015, Florida Statutes. A Professional Architect licensed under Section 481.213, Florida Statutes. Any other individual or entity recognized by the insurer as possessing the necessary qualifications to properly complete a uniform mitigation verification form pursuant to Section 627.711(2), FL Statutes. Item 6 is rarely used – I’ve never seen it – and is solely at the discretion of your insurance company. Insureds – you – have no say in the matter regarding the acceptability of a Wind Mitigation Inspector outside of the first five legally defined types. Where did Wind Mitigation credits come from? The proof is in the pudding. It’s why the companies are required to offer a certain level discount. There’s no data to use to be certain that feature X is really that significantly better than feature Y. Thus, the elected officials get to say they got you a discount, but the insurers get to make it as big or little as they want because it’s not really a science-based item. This doesn’t mean that all Florida homeowners shouldn’t take advantage of a Wind Mitigation Inspection. We often find that the inspections pay for themselves, earning at least $80-$100 of credit each year for a guaranteed 5 years (often longer). Many times the credits reach well into the hundreds and even thousands of dollars. It is rare that no credits are earned because without the inspection your home is assumed to have the least possible wind resistive features. It’s also important to note that the inspection CANNOT hurt you. You cannot be charged more unless you had a prior Wind Mitigation Inspection that had incorrect findings in your favor. I urge all Florida homeowners to get the inspection done. I cannot guarantee a savings with 100% certainty, but it’s tremendously likely ( 90% or more in my opinion) that you’ll wind up with a positive result! I am building a new home and want to know if the roof has any effect on insurance cost. 1. It is a new house build to code and the roof is designed for 150 mph wind. Does it matter if it is a hip or gable at this point? 2. The target roof is a Boston hip roof, which has small gables. I need it to increase the ridge length for proper attic ventilation. If a hip roof still influences insurance cost even though it meets 150 mph wind, how are the small gables counted to calculate gable/perimeter ratio? Are the small gables included in the perimeter length? Is the length measured at the gable fascia or where the eve ends merge with the hip? the eve length has a huge influence on this dimension. 3. Are gable ends on structures outside of the main structure wall included in the gable end length? for example; a main entry way roof attached to the house outside the main walls and extending to large pillars 8′ from the wall where the gable end exists. Congratulations on the new home, and thank you for reaching out to us! There are quite a few things that go into the wind resistive nature of a home, and understanding them can be confusing. This is especially true when the Wind Mitigation Affidavit and related credits don’t actually come from the building community. They were completely the creation of the Florida Legislature. Regardless of your wind speed design it will always matter if the roof geometry is hip or gable for insurance purposes. No matter what a gable roof will statistically fail before a hip roof. Imagine putting a greeting card on a table in front of you such that it looks like an upside down “V” while sitting there (gable). If you blow on it immediately flies away. If you did the same with a pyramid shamed object (hip) it would take much greater force to move it. A hip roof is always preferable from a wind resistance standpoint, and hip roofs usually cost significantly less to insure than gables! The issue with your small gables can vary in impact depending on your insurance company. Generally speaking, the roof must be a vast majority hip or it gets rated as gable. I have seen a small gable or two cause insurance companies to rate the entire home as having a gable roof. Again, it creates a weak point. The 150 mph rating can be misleading, just like a 50 year warranty on tiles or shingles. It’s almost certain that 50 year warranty shingles or tiles won’t last anywhere near that long. The warranty is usually only for workmanship and product defects anyway – not the effects of 100 degree bleaching summer sun and those rare but real 20 degree winter nights here in Florida. If the gable is part of the roof that is fully attached to the home it does not matter if the gable is above living space or not. Again, you’re creating a weak point (no matter what your contractor says) in the roofing system. So pries up the gable over the front porch, so pries off the rest of the roof in 100mph winds! Hope that helps, and thanks again for contacting us! I am not sure where you live, but if you are in the Central Florida area we highly recommend Douglas Inspection Service. You can reach them at 407-896-3111 or http://www.douglasinspectionservice.com. 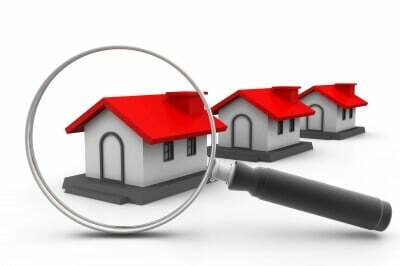 Inspections are usually paid by the insured, not the insurance company. We interviewed them so you can find out more about the process via our blog posts “What is a Wind Mitigation Inspection?” and “Have You Saved With A Wind Mitigation Inspection?” Thank you! I recently had a wind mitigation and 4 point inspection in January of 2019 the inspector said we had a few bubbles but others wise it was ok, he then reported to the insurance company that we needed a roof, so on the 25th of February we got one, nails came through my kitchen 2 bedrooms and a bathroom closet in my ranch style home the roofers also left a area on the roof open which it leaked in the ceiling in the living room for the initial inspection which has not been done to date. March 20th another wind mitigation was done not sure of the results yet or what was done because it was done so quickly. It appears mildew is on the ceiling wall wear it leaked from the roof that was left open for inspection due to it rained all day the day after our roof installation and partly the day after that. What can be done about the mildew/mold? It sounds like you’ve got a less than ideal situation. First and foremost, if you’re roof is not water tight it needs to be tarped and then fixed immediately. 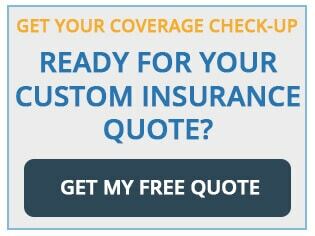 Nearly all insurance policies have a clause requiring policy holders to take steps to mitigate a loss once its known. That means you’re not expected to climb on the roof yourself, but you need to get somewhere out there to stop the leaking and ensuing damage. Your policy likely also has a certain amount of Fungi coverage to help deal with the mold. 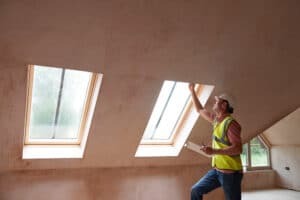 Your company can than choose to go back after the contractor(s) who left your roof incomplete, or if you do not have coverage you can sue them directly. The biggest issue is active leaking and mold though! You need to call a service like Baxter Restoration (https://bit.ly/2HRKgNT) to secure things and start mold remediation ASAP. No matter who you call DO NOT SIGN A CONTRACT WITH AN ASSIGNMENT OF BENEFITS CLAUSE IN IT UNDER ANY CIRCUMSTANCES!!! You’d just be setting yourself up for further headache. Hi! What if after having the original wind mit done in 2017 and u have another in 2019 because I added shutters the new inspectors see that the previous inspection did not reveal the correct findings about my roof in my favor? I had all the upgraded roof attachments and yet the inspector said I had toe nails causing me. It to get the discounts. But in 2019 it showed that I had all the upgrades and the previous inspector did not report correctly causing me to overspend on insurance by$2500 for two years. Is this reportable to retrieve my lost monies? Unfortunately, there isn’t that much you can do. You can have your agent ask the carrier if they’ll consider any return of premium, but it’s unlikely. The good news is that you’ve got the new inspection that corrects the problem. You could always file a complaint against the first inspector with the appropriate licensing board (whoever regulates their professional license). There are several different categories of licensees who can perform Wind Mits, so it’s hard to say who would be the appropriate regulator without seeing the inspection report. My insurance has gone up 10% yearly according to my agent I wanted a reduction and was told it would cost 600 for a wind mitigation report I had one in Dec of 2011 when we purchased our home in Indian spring. How long for does it last and why so much? Thanks for your question! Wind Mitigation Inspections provide details about how your roof is built, and how it is attached to your home. The idea is that if you have construction methods that exceed minimum standards you will get discounts on your insurance. If your roof does not exceed minimum standards then there is no penalty. The inspection cannot hurt you. It can only help you. From time to time the inspection form changes. If you have an older form then the insurance company will require a new inspection filled out on the new form. The newest form is from August 2014. Summarily, it looks at if your roof is up to the latest building codes, the pattern used to place nails in the shingles or tiles, the type of nails used, how the roof trusses are attached to the exterior walls, the geometric style of the roof, if you have secondary water resistance and a few other items. The Florida legislature has mandated that all insurance companies give credits for findings greater than minimum standards, but the credits are not uniform. They vary by carrier and by roof feature being applied in favor of. The cost you mention sounds more like a potential savings. There is no guarantee of credits, but often they range from as little as $50 to as much as $1,000. It all depends on the location, construction type, age and specific roofing system of the home in question. We typically see the inspection cost less than $150.00 in the Central Florida area. How long is the wind discount good for? I had an inspection done when I first bought my house about 6 years ago. When switching insurance companies, do you need to update the inspection too? Thank you so much for your question. We hope that the following provides the answer that you’re looking for! If not, feel free to call or email us. The affidavit is valid for 5 years, though an insurance company can honor it until the roof is replaced or significantly updated. The most current version of the affidavit generally needs to be used at the time credits are applied. If you have an inspection from 2011 and you switch carriers most will not honor it today, as the state last changed the form in 2012 and added several required photographs. A new inspection would be required in such a case.